“Anthony was born around 251, to wealthy parents who owned land in the present-day Faiyum region near Cairo. During this time, the Catholic Church was rapidly spreading its influence throughout the vast expanses of the Roman empire, while the empire remained officially pagan and did not legally recognize the new religion. In the course of his remarkable and extraordinarily long life, Anthony would live to see the Emperor Constantine's establishment of Christianity as the official religion of the Roman empire. Anthony himself, however, would establish something more lasting – by becoming the spiritual father of the monastic communities that have existed throughout the subsequent history of the Church….” (CNA) Read more. For those visiting or based in Rome, the annual spectacle at St. Peter’s Square on the morning of January 17 is one not to be missed. 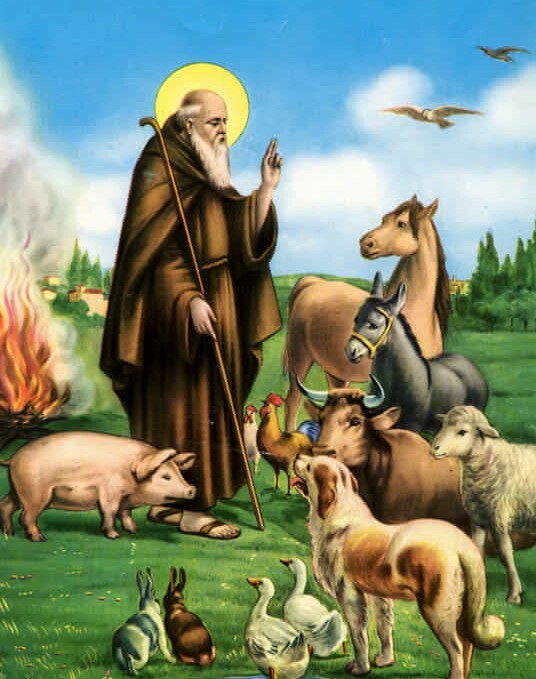 Animal owners and breeders from all over Italy come to Rome with their horses, cattle and every type of pet you can imagine (even turtles) to receive a special blessing on the Feast Day of St. Anthony the Abbot, patron and protector of men and animals. The dedication to St. Anthony the Abbot is very popular in the Italian regions of Piedmont and Abruzzo, where rural traditions are still strong. It’s common there to find images and statues of the saint in the stables or fields to protect farmers, the herds and crops. The feast date after the winter break also follows the farming cycle. 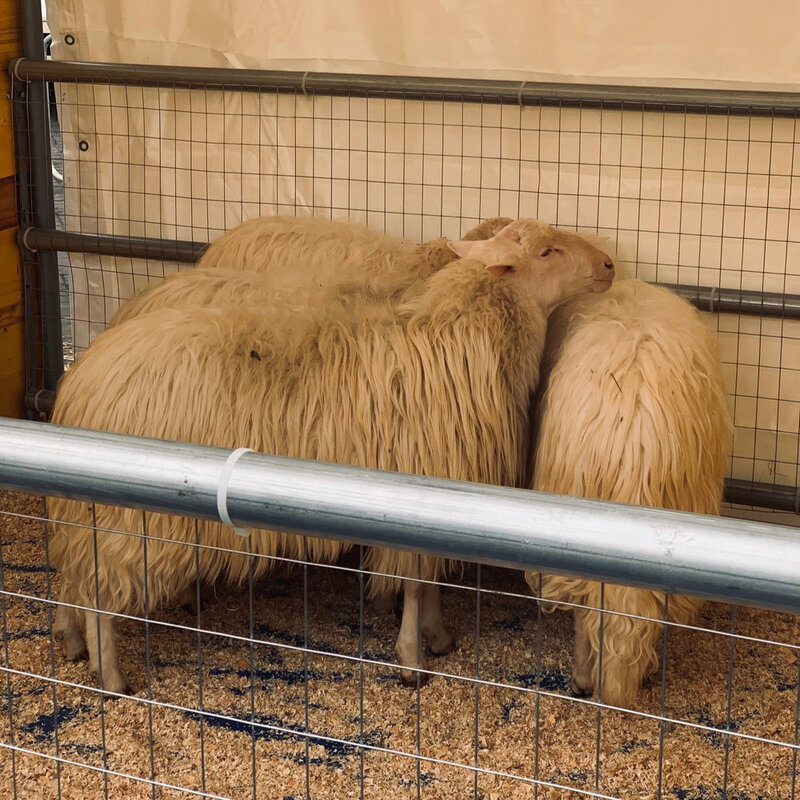 In Rome, the Italian Breeders’ Association creates a special Fattoria sotto il cielo (farm under the sky) in front of St. Peter’s Square with a grand selection of farmyard animals including cattle, sheep, goats, chickens and horses. 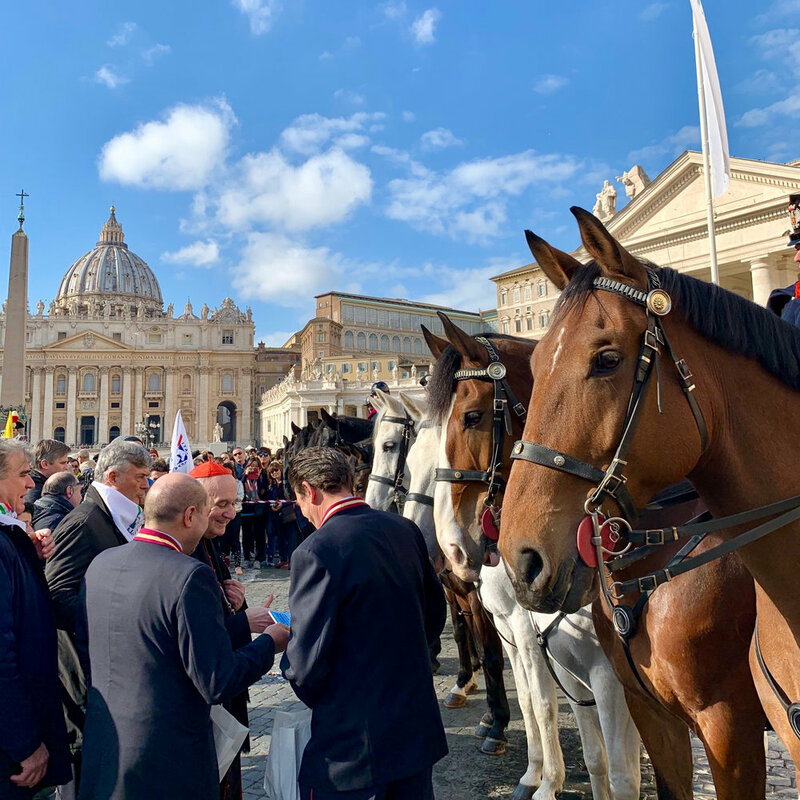 As has been the tradition for the past 12 years, Cardinal Angelo Comastri (Archpriest of St. Peter’s Basilica) offers a blessing to the crowds of people and animals gathered in Piazza Pio XII after the 10:30 AM celebration of Holy Mass inside St. Peter’s Basilica. 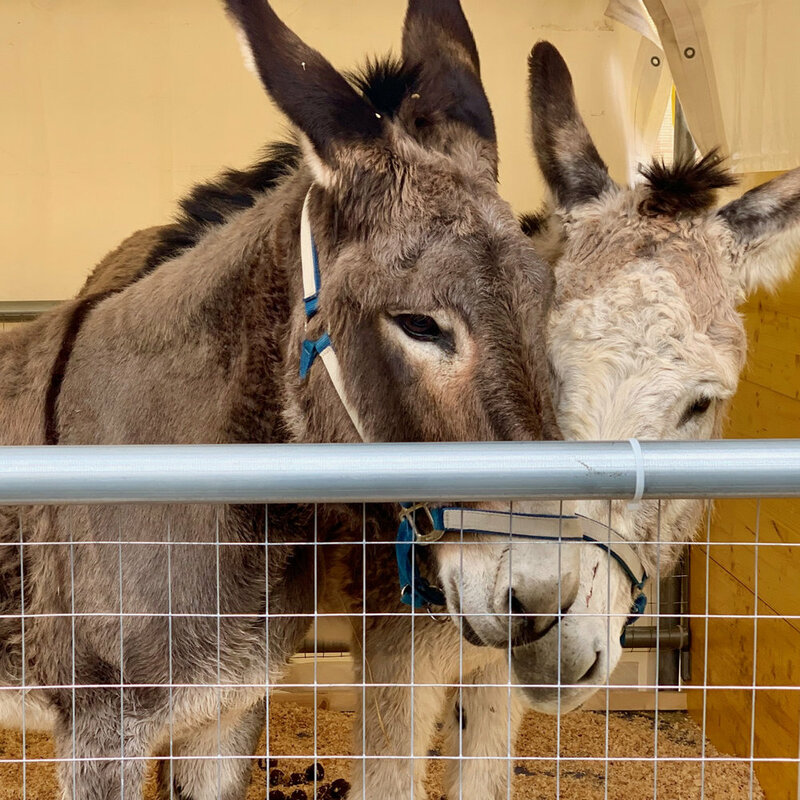 The open air exhibition of animals is open to the public from about 9.00 AM to 3:00 PM. People are invited to bring their animals, not just for a blessing, but to take advantage of the free checkups offered by veterinarians. Some streets around the Vatican are also closed due to the midday procession of the Carabinieri Regiment on horseback along Via della Conciliazione. The Carabinieri are welcomed at St. Peter’s Square by the crowds and greeted by Card. Comastri who is always visibly delighted to take part in the annual celebrations.